THE HELPLINE SET up to answer calls from women who have concerns following the CervicalCheck controversy have received over 10,000 calls since the issue came to light over a week ago. The figures were released this evening by the HSE’s Serious Incident Management Team (SIMT) in its first daily report on the CervicalCheck scandal. The latest audit has also updated the number of women affected from 208 to 209. Of that number, they’ve contacted 196 women/families. Visits to the CervicalCheck site have increased since 26 April, and around 7,000 text messages have been issued. Earlier today, the Irish Medical Organisation (IMO) struck a deal with the Department of Health and the HSE around costs and resources in dealing with the fallout from the CervicalCheck controversy. The Minister for Health Simon Harris said the government would provide for repeat smears to take place at the existing rate of €49.10 and a consultations of €50. IMO chair Dr Padraig McGarry said that this was “a very painful, worrying and difficult time for many women throughout the country”. It was important for our patients and GPs to know that the required resources were in place to allow this programme to be delivered. Emergency funding to support counselling services to women who’ve been directly affected by the CervicalCheck scandal has been made available by the Irish Cancer Society. 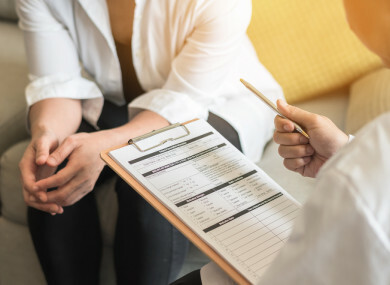 Over the past 10 days, more information has continued to emerge about the controversy whereby women were told that they had normal smear test results in error. While not a test for cancer, a smear test that results in an abnormal reading can warrant further investigations to test for the presence of cancer. It has since emerged that more than 1,500 women who developed cervical cancer did not have their cases reviewed by CervicalCheck. The HSE has meanwhile confirmed that 17 women whose cases were reviewed as part of an audit have died. It has yet to be determined if their deaths were due to delayed diagnoses. Speaking today, the Irish Cancer Society said that funding has now been made available for 500 counselling sessions in 25 of its affiliated support centres . The charity’s head of services and advocacy Donal Buggy said: “Understandably, many women are deeply affected and need support, reassurance and practical help. Through our existing network across the country, we are making additional money for counselling available so women in Dublin can get the support they so desperately need at this time. Irish Cancer Society nurses will be assisting in calling back women who have contacted the CervicalCheck helpline this week and are waiting for a response. Email “'This is a painful time for women': Over 10,000 calls made to CervicalCheck helpline”. Feedback on “'This is a painful time for women': Over 10,000 calls made to CervicalCheck helpline”.